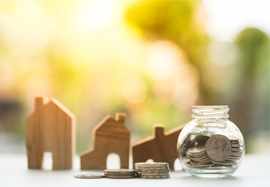 Client Money Protection (CMP) is to be made compulsory for all letting agents across England following the recommendations of a government working group set up to investigate the issue. The Department of Communities and Local Government ran the group looking into CMP – which ensures tenant deposits are protected within an official scheme and prevents rogue agents from absconding or abusing client funds – and has concluded it should be added to the laws governing the lettings market. Estate agents Leaders, which has offered a lettings service since 1983 and always used CMP, has welcomed news of the findings and believes it will help to eliminate the practices of some untrustworthy agents. Allison Thompson, managing director at Leaders, says: “Making CMP mandatory across the industry will help to raise standards and improve the reputation of letting agents. It is only right that a sector in which money is held on behalf of clients is forced to adhere to strict laws. “At Leaders, we have always taken steps to protect our clients’ money and have long argued that all agents should be required by law to do the same. Over the three decades we’ve been in business, we’ve seen far too many agents without CMP going out of business and leaving landlords and tenants badly out of pocket. In some cases, unscrupulous agents deliberately mishandle funds for financial gain. Approximately 85 per cent of interested parties in the working group – including a number of letting agents – expressed their desire to see CMP become mandatory. The group has suggested those agents who continue to fail the due diligence requirement to access CMP cover should be banned from handling client money. For more information on Client Money Protection or expert advice on all aspects of letting or renting contact your local Leaders branch.